BEDF is a 501(c)(3) tax-exempt organization that serves as a fiscal partner to BPS. BEDF is ruled by federal and state public charities’ regulations. BEDF is a grant management and grant making agency that assists in the procurement and supervised use of private resources for existing and new programs in both individual schools and across BPS. From 2014 to 2016, BEDF has grown fiscally by 22%. 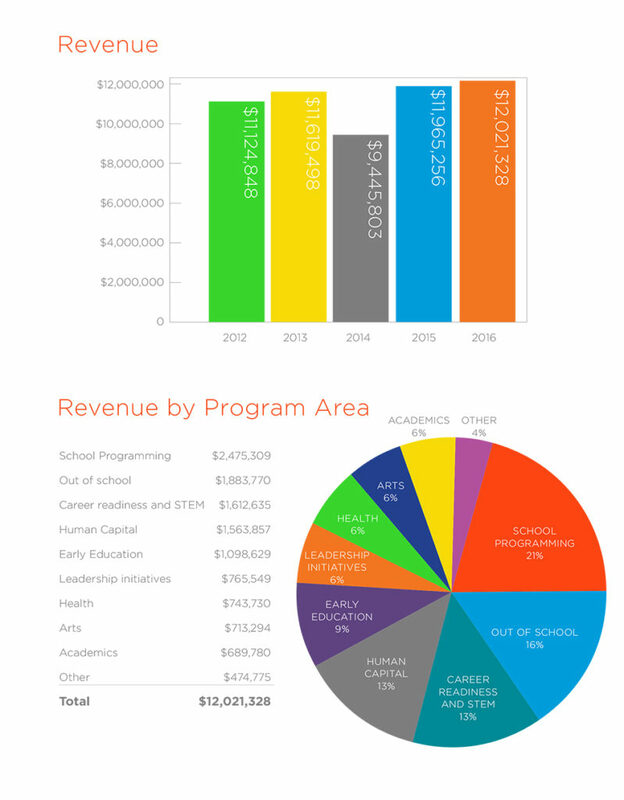 Last year, BEDF managed over $10 million in funds made by over 1,100 individual contributions from institutions, private corporations, philanthropic foundations and individual donors. In 2016, the average single donation amount that BEDF supervised averaged over $10,000. We have grown steadily as an organization over the past three years and expect sustained fiscal growth moving forward. We look forward to expanding and diversifying the ways in which we support all of Boston’s public schools. To view our fully audited financials, as well as our yearly Form 990s, we encourage funders to visit the “financials” section of our Giving Common portal.